In my freshman year of high school, I attended a well established, public school whose mascot was Jonny Rebel, a Confederate Soldier. The Confederate Flag and uniform were a part of the school’s tradition. That year, however, a couple of students challenged the mascot and he was eventually changed, scrubbed free of the symbols of bigotry and oppression. At the time, I don’t think I understood the layers of controversy. I had never experienced racism towards my person or someone that I loved (those would come later). However, I was coming to term with my own sexuality in the contexts of teenage and boy scouting, so I knew what it was to be oppressed by a majority group. #RebelYell is an indictment of the use of this symbol. 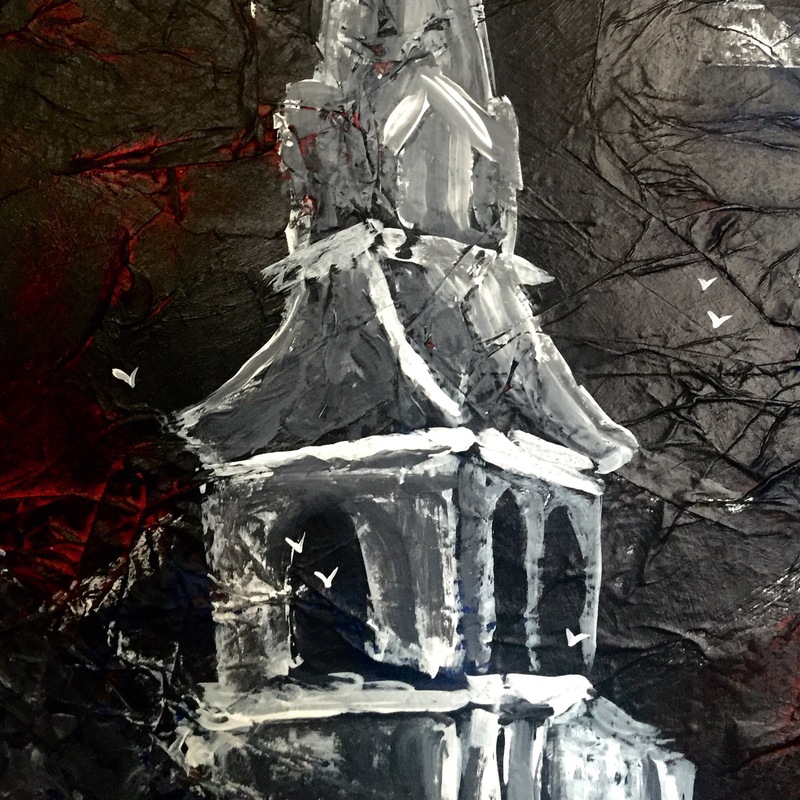 This mixed media piece is fashioned from paper, bubble wrap and acrylic. It is 36×48 inches. 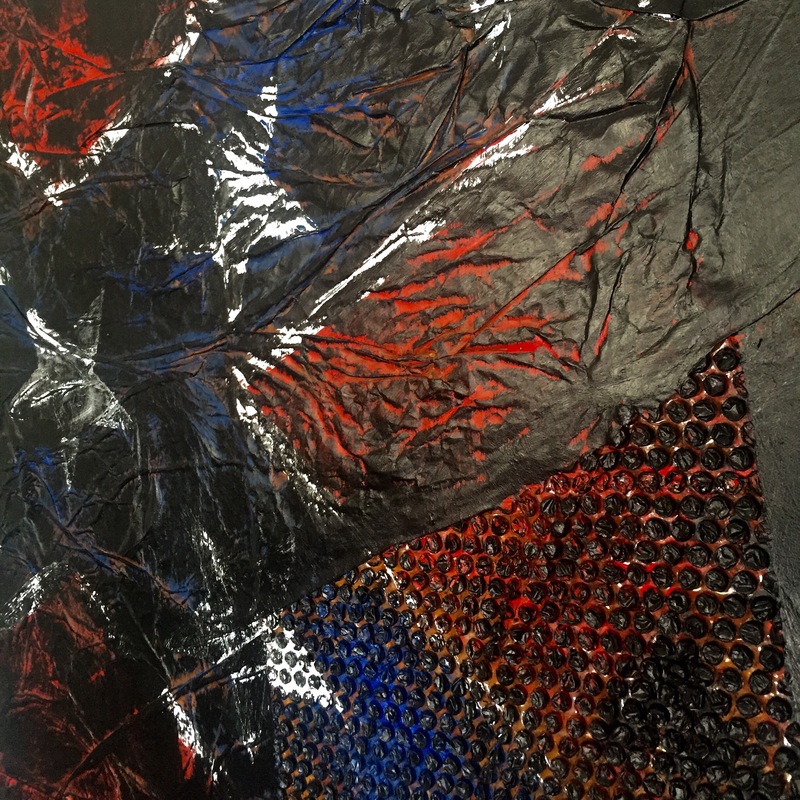 The Confederate Flag is superimposed of the ‘trash’ elements, stained black with age, wear and hate. Nine doves scatter from The Emanuel African Methodist Church in Charleston, South Carolina, frightened from the concussive shot of the Rebel Yell. 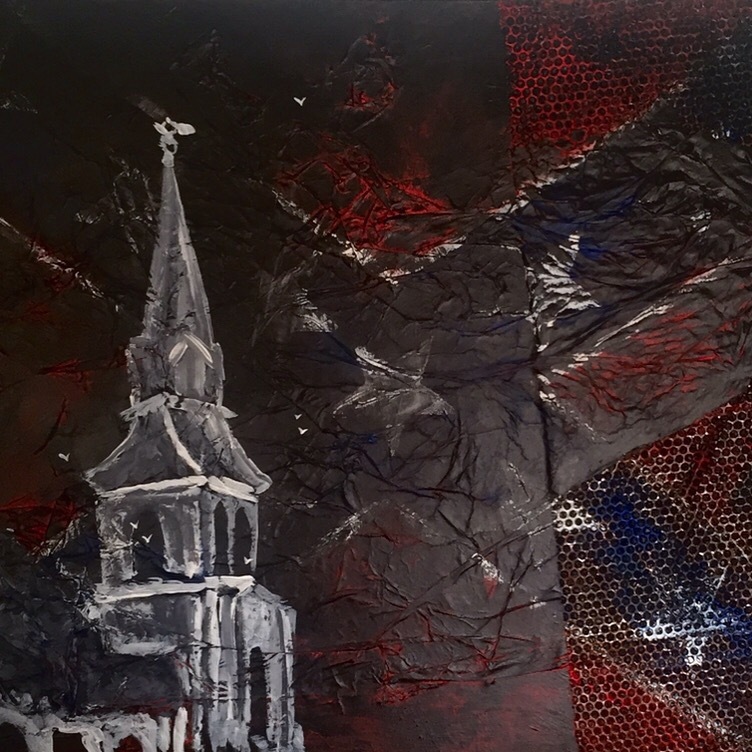 Rich in layered symbolism and meaning, this painting honors those fallen in last week’s tragedy while simultaneously demanding the removal of the Confederate Flag from government spaces, a cruel and vicious prior restraint that only serves to marginalized Black Americans. #RebelYell is the latest in my multidisciplinary series, #ArtToEndViolence.